I love natural, organic, and cruelty-free products. I try to stay clear of anything that wouldn't be considered part of these categories. As I've said in previous posts I truly believe the simpler the ingredients the better. I like to know exactly what I am using. I recently tried the brand Maple Holistics. They are a natural and cruelty-free brand which is wonderful! It's amazing that more and more brands are drifting away from unneeded chemicals and testing on animals in their products. It's reassuring to know that no animals were harmed in the making of your favorite products. Maple Holistics is a brand that has various hair and skincare products. 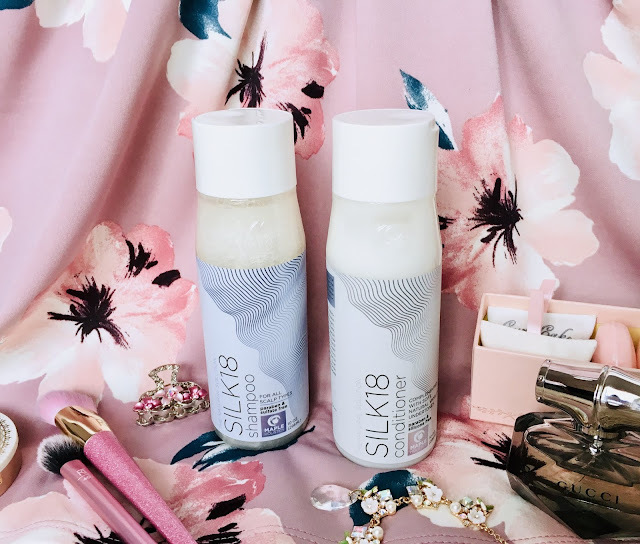 I recently tried their Silk18 Shampoo & Conditioner set. I have been using it for a while now and have really enjoyed it. First off, the shampoo and conditioner smell absolutely divine! They have vanilla undertones in them which makes them smell like a cupcake! 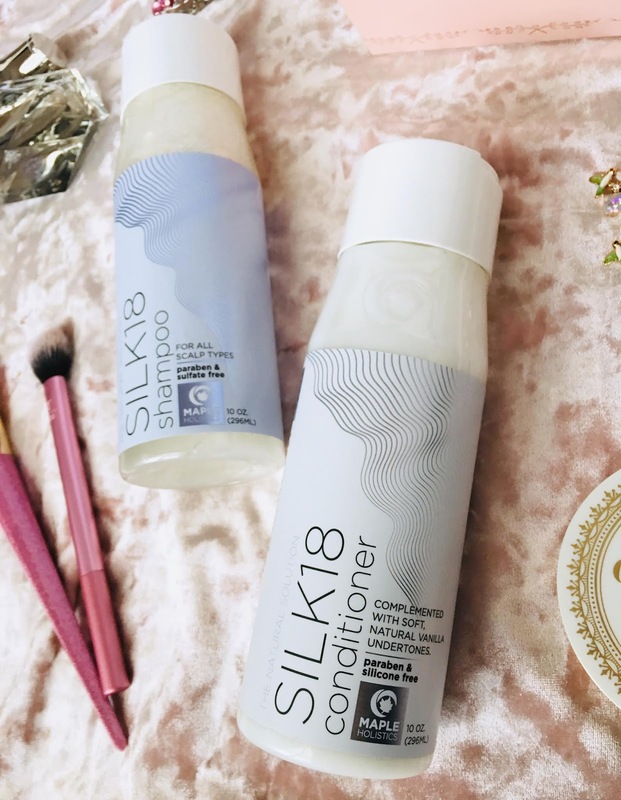 My hair is super soft and silky after each use especially using the conditioner. They leave a pleasant, faint smell of vanilla once your hair has completely dried which is perfect if you don't like overpowering scents. These products are gentle on my scalp which is crucial to me considering I have such sensitive skin. They also claim to fight dandruff, dryness, hair loss, and flaking as well as strengthen, soften, and reduce frizz. If you want to know more about damaged hair you can read their blog post which is very informational and helpful. I'm excited to try more of Maple Holistics products in the future. I recommend you try them out for yourself! Great review - it looks like this is a great product! I have tried some essential oils from Maple Holistics in the past, so maybe I should try out some of their other products... Thanks for sharing! 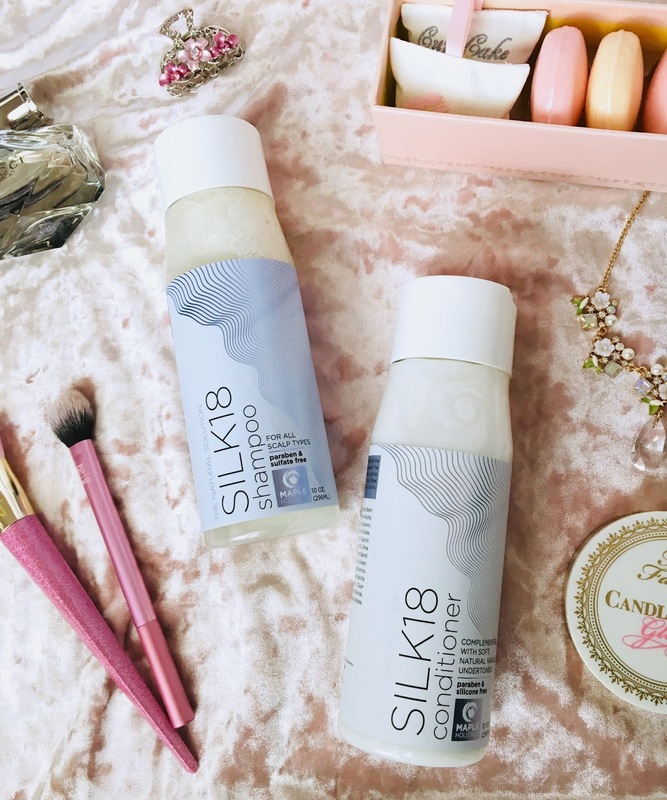 i love natural and cruelty free brands but i've never tried this brand before! the products sound so interesting!